Based in Shankill Co. Dublin. Expert tutorr fluent in 9 languages Outstanding track record at all levels.Former head of international corporate trading and sales with financial services company. Years of money market experience in London and Dublin. BA 1st class Humanities Kings College London. Highest standards in all that I undertake. CONGRATULATIONS to my 2016 Leaving Cert students. The results were the best ever. The flurry of outstanding grades is testament to dedication, hard work and excellence in tuition. WELL DONE ALL. 10 years teaching experience in Irish, French, Spanish, German and Italian at all levels. What started out as some lessons for friends blossomed into a full scale business and my track record of excellence and exam success built up my reputation, as finally the potential of many students who had not worked well in a classroom environment was realized and the gift of a language given. I systematically eliminate the errors that according to examiners' reports continually cost students marks and grades. Grammar is thoroughly examined until the verb tenses and endings are second nature and noun genders,cases and declensions are recognized and understood. Oral work is crucial as the journey from thought to word is usually the most difficult part of language learning and is essential for successful exam performance. The oral topics are broken down and dealt with individually with emphasis on spontaneity and effective communication. Aural practice using native media sources and past papers also an integral part of my approach to attune the ear to the spoken word at full speed. 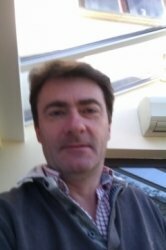 JohnFrom Duane (5/5): (Junior Cycle Gaelic) John is a excellent teacher who is experienced and knows the ins and outs of teaching Languages for the Leaving Cert and Junior Cert and has a track record of getting results. JohnFrom Caolan (5/5): (Senior Cycle Spanish) Very helpful and great at simplifying the more difficult topics. Reply from John: Thank you for that. Appreciated. JohnFrom Craig (5/5): (University Gaelic) John has been excellent in tutoring me university level Irish. So I would highly recommend him for any level. Reply from John: Thank you Craig. JohnFrom Colleen (5/5): (University German) John helped me pass my German and Italian college supplementary exams this summer. I definitely couldn't have done them without him. He focused on my main grammar problems and gave me the confidence that I needed to ace my exams. The classes consisted of returning to the basics of grammar ensuring any doubts were eliminated then we repeated past exam papers until I felt completely prepared for any exam questions they could throw at me. I have decided to continue grinds with John this year, as this one on one service gives me a second opinion in my college essays as well as confidence in learning the languages, speaking them and doing exams! if I could give a higher rating on this I would 10/10! JohnFrom Carol Ann (5/5): (Senior Cycle Spanish) My daughter Keeva is making good progress with her Spanish and her confidence in the language is improving greatly with John's help and guidance. JohnFrom Eleanor (4/5): (Junior Cycle Gaelic) All seems to be going well, my son is not great with feedback, so I guess the mock JC will be the true indicator. John is very easy to work with and a good communicator. He seemed to build an instant rapport with my very quiet son. I'm very pleased!